Priano-Keyser alleges that all Apple Watches up to and including Series 4 models are prone to a defect that results in the lithium-ion battery swelling and causing the screen to "crack, shatter, or detach from the body" of the watch "through no fault of the wearer, oftentimes only days or weeks after purchase." The plaintiff believes that Apple either knew or should have known that the Apple Watch models were defective before selling them, adding that they pose "a significant safety hazard to consumers" — a "number" of which have suffered "cuts and burns" as a result of the scratched, shattered, or detached screens. 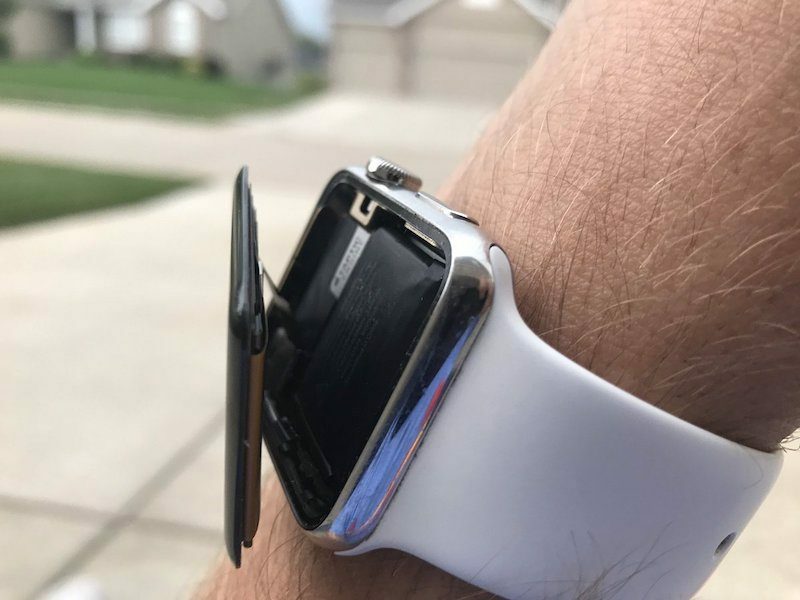 Apple has acknowledged the possibility of swollen batteries in select Apple Watch models in the past, and offered free repairs up to three years after purchase. However, the complaint alleges that the company often attributes the issue to "accidental damage" and thus "refuses to cover repairs" under warranty. Priano-Keyser states that she purchased an Apple Watch Series 3 in October 2017. 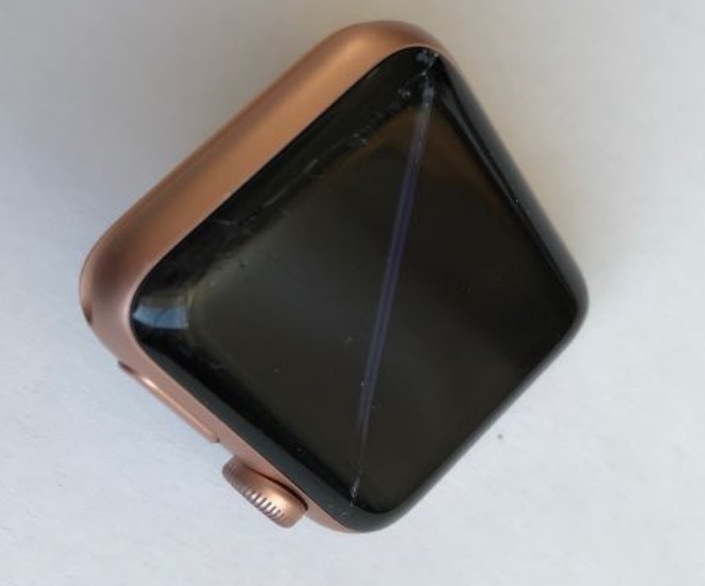 In July 2018, while charging, she alleges that the screen "unexpectedly detached" from the watch's body and cracked. Her daughter "pushed the screen back into place," but the Apple Watch has been "unusable" ever since. The complaint cites over a dozen similar experiences described by users on the Apple Support Communities over the past few years. Priano-Keyser is seeking damages in an amount to be proven at trial for herself and all others similarly situated. The proposed class includes all residents of New Jersey who are current and former owners of all models and sizes of the Apple Watch Series 1, Series 2, and Series 3 purchased in New Jersey. The complaint was filed by Shepherd, Finkelman, Miller & Shah, LLP, the same law firm that filed a nearly identical class action lawsuit regarding the swollen Apple Watch batteries in California back in June 2018. That case was tossed by U.S. District Judge Lucy Koh in January due to being "vague." "Plaintiff's description of the alleged defect identifies only the consequences of the alleged defect (i.e., cracking, shattering, or detaching), but is notably silent on identifying the defect that causes such consequences," Judge Koh stated. The lawsuit in New Jersey addresses this by attempting to identify a cause. "Upon information and belief, the Defect is caused by aging or otherwise faulty li-on batteries, or by defective internal components of the Watches that regulate temperature, electrical currents, charging, and other mechanisms that could affect the Watches' li-on batteries," the complaint states. It remains to be seen if the New Jersey case proceeds to trial or is also tossed. If it's not working, return/replace it, why sued? Just another greedy money grab. "The plaintiff booked a Genius Bar appointment in August 2018, but upon inspection, she alleges that Apple denied to repair the Apple Watch free of charge under warranty and instead quoted her an out-of-warranty fee of $229 for service." Looks like she tried exactly what you suggested and Apple refused. The list of bad news from Apple continues unabated. This is what happens when we have a bean counter CEO. The issue occurred 9 months after the purchase, Apple is not freely allowing returns or replacements just because you ask. Really? How do you explain the MacBook Air swollen batteries under Jobs then? That Apple watch looks trashed. No wonder the battery swelled up. It's not Apple's fault if you can't take care of stuff and beat it all up. Happened to my mother-in-law's Apple Watch. I tend to cycle through new technology and so I don't have them long enough to experience this but Apple refused to fix her watch and gave her the $229 out of warranty estimate. I told her I would order a battery replacement kit and I successfully replaced the battery but the steps, detail and time to accomplish it was nutso. The battery in her watch was definitely swollen and is what caused the screen to pop off. After I got it back together following the iFixit guide it is working perfectly. This is definitely a problem Apple is going to have to take care of and is not due to misuse. Can you imagine having purchased a Series 1 solid Gold unit and the screen pops off. Geesh. This happened to me. I took it to an Apple store and they replaced it. If she was under warranty I’m quite skeptical Apple refused to replace it. Another feature. The watch has a screen cleaning function via a spring mechanism which vibrates the screen in an up and down fashion to shake off any accumulated dust. if you are wearing the watch in an improper manner the force of the spring is multiplied by the square of the distance and inadvertently breaks the watch. You are wearing it wrong.